Dr. Charles S. Barotz is an award winning dentist, who has also been the pioneer in beautifying smiles with his artistic dentistry ever since the time he began his practice way back in 1980. A Georgetown University School of Dentistry graduate, Dr. Barotz has dedicated his entire life to his profession to become the top dentist in Denver. Barotz Dental Denver is now one of the leading places to find the best dental assistance for any type of dental requirement. An innovator, Dr. Barotz believes in quality education and has faith and respect for future technologies. He has been learning at every step of his life to improve his skills as a top dentist. At Barotz Dental Denver, you can avail any of the cosmetic services mentioned below to have a naturally beautiful smile. Porcelain veneers are those thin and fine covers, made form porcelain. It covers the front part of teeth in order to repair damages and reshape teeth according to needs. It can also help in enhancing the color of teeth. Dental Implants have been used one of the most comprehensive cosmetic dental solutions that can restore chewing functions. It allows you to have your foods properly, while retaining your beautiful smile and overall appearance. Teeth whitening remain one of the most famous of all cosmetic dental treatments. At Barotz Dental Denver, you will be given three choices – Power Bleaching, Gradual Bleaching and Extreme Whitening. 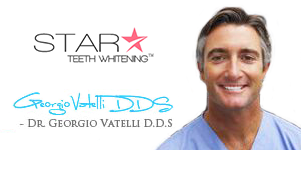 The top dentist, Dr. Barotz offers extensive teeth whitening solutions that can enhance the color of teeth. These are professional systems that have been studied and researched to give you fantastic results. Barotz Dental Denver can give you the best dental crown you could have asked for. Caps or crowns are recommended for progressive results of tooth decay or damage. The cap acts as a protection for all underlying teeth. Dental bridge is often needed to fill the gaps of a missing tooth or multiple teeth. In order to prevent the shifting or misalignment of remaining teeth, a bridge becomes essential. There are fixed and removal bridges. After observing the condition of a patient at Barotz Dental Denver, Dr. Barotz will recommend the best option. Fillings are probably one of the basic dental requirements. With composite fillings and porcelain inlays, people can now wear their smile with attitude, despite having fillings in their teeth. Tooth-clored composite fillings are meant to retain aesthetic appeal.